This stylish Safavieh Courtyard area rug is a high quality dicor option. Designed to decorate an indoor/outdoor space, this plush synthetic material rug is high quality. This product is machine-made, which assures quality. You and your guests will enjoy the lovely geometric pattern that decorates this grey rug. Courtyard Leia Grey / Bone 2 ft. 7 inch x 5 ft. Indoor/Outdoor Area Rug This stylish Safavieh Courtyard area rug is a high quality dicor option. Designed to decorate an indoor/outdoor space, this plush synthetic material rug is high quality. This product is machine-made, which assures quality. 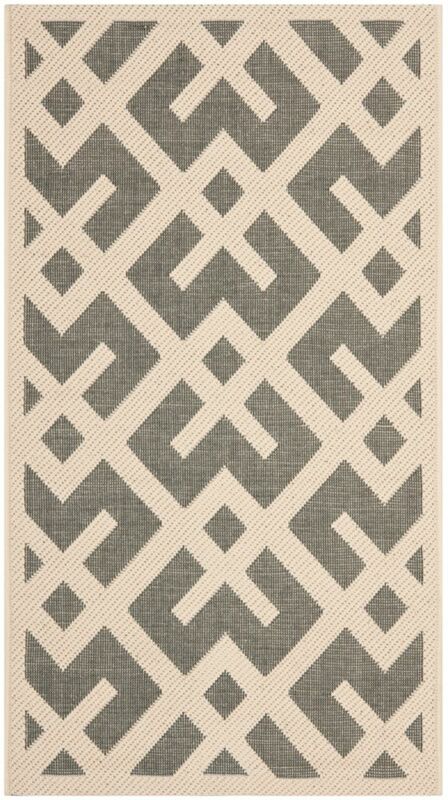 You and your guests will enjoy the lovely geometric pattern that decorates this grey rug.